In an article for the Nation under the headline How Ariel Sharon Shaped Israel’s Destiny, and which contains chilling quotes from some of Sharon’s closest advisers about the need “to kill and kill and kill the animals” (the Palestinians), Max Blumenthal wrote that “Sharon’s true goal was never to end the occupation but to reinforce it under new parameters.” That’s my judgement, too. Some years later I asked King Hussein if he had been aware of what Sharon was intending to make happen in Jordan if he had achieved his phase one objectives in Lebanon. The King said he was not only aware of Sharon’s intentions at the time but, also, that the Gulf Arab leaders had effectively given him a green light. It was in the form of a message from them, agreed at a secret meeting, to President Reagan. The message was to the effect that when Sharon invaded Lebanon, the Gulf States would make no trouble for the U.S. and Israel. 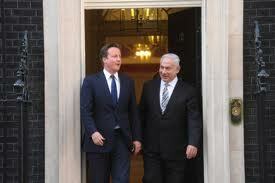 The question provoked in my mind by Cameron’s tribute to Sharon was this. Did he praise Sharon’s “pursuit of peace” because he is ignorant of Sharon’s record, described by Blumenthal as a “bloody career that spanned decades, destroyed entire cities and presided over the killing of countless civilians”; or was it because like most if not all Western leaders Cameron feels the need from time to time to kiss Zionism’s backside? No British prime minister or the leader of Her Majesty's loyal Opposition has the gutts to stand-up to Israel or British Jewish Lobby. David Cameron has boated about his Jewish family roots - while the Opposition leader Ed Miliband is a 100% kosher Zionist. I remember, when in 2010, David Miliband announced that British government had decided to expel an “un-named Israeli diplomat” in response to its passports being used in the Dubai assassination of one of Hamas’ leading freedom-fighters, Mahmoud al-Mabhouh – two members of Israeli Knesset, Aryeh Eldad and Michael Ben-Ari, called David Miliband and the entire British nation as “dogs” and “anti-Semite”. “I think British are behaving hypocritically and I don’t want to offend dogs on this issue, since some dogs are utterly loyal,” Aryeh Eldad of Israel National Union (MK). “The British may be dogs, but they are not loyal to us, but rather to an anti-Semitic system,” Michael Ben-Ari, MK. Sharon was one of the generation of exceptional narcissists and supremacists and racists. His legacy is the idea that Jews can imprison, torture, degrade, humiliate and kill gentiles if they coveted the gentile's property. Apparently, this principal is alive and well and it is very "biblical." Obscene people have now made an obscene state.